Can it find a way to top Daredevil? Netflix has a pretty stellar track record with their Marvel series so far. Because of their successes with Daredevil and Jessica Jones, expectations are impossibly high for Luke Cage. But with the weight of those predecessors also comes a good blueprint for success. If it can emulate some of their shared strengths, it should have no trouble being a quality program. Visceral fights, a troubled lead character and an emotionally-charged narrative are just some of the qualities that the series can easily draw upon. 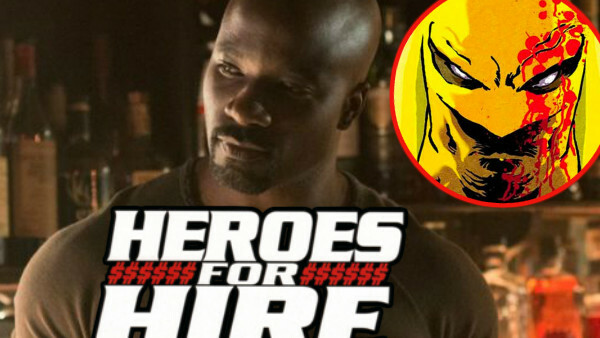 But Luke Cage still needs to find its own voice. With over 40 years of backstory and an astonishing evolution from a blaxploitation trope all the way to a fully-formed modern character, Cage should have no trouble distinguishing itself from the pack. The series needs to be highlighting the turmoil and growth that make his character special, and avoid becoming too familiar or derivative. For the show to follow this Netflix model while still establishing its own voice is no small task, however. There's a lot of smaller elements to crafting his personality, environment and the characters around him that need to be handled perfectly for this series to work. It certainly has the ability to live up to the Netflix standard, but that level of success is not going to come without doing a lot of things right first.